A bank guarantee might be used when a buyer obtains goods from a seller and then runs into cash flow difficulties there by not able to pay the seller. The bank guarantee would pay an agreed-upon sum to the seller. Similarly, if the supplier is unable to provide the goods, the bank would pay the purchaser the agreed-upon sum. Essentially, the bank guarantee acts as a safety measure for the opposing party in the transaction. 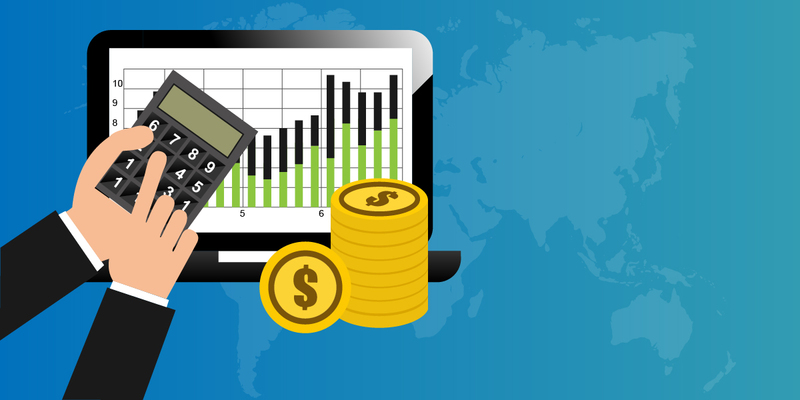 These financial instruments are often used in trade financing when suppliers or vendors are purchasing and selling goods to and from overseas customers with whom they don’t have any well-established business relationships. The instruments were designed to reduce the risk taken by each party. Banks usually have a Bank Guarantee / Letter of Credit Module in their Core Banking System (CBS). These modules are generally used for automation, but a CBS is limited to the process of issuing the instrument for the host bank. There are four major different parties involved in any Trade Finance product like a BG or a LC. Hence, the Tracking and Management process becomes very critical, because there are lots of interaction points between the concerned parties. Furthermore, there is a blackout period when the bills and goods are in transit, and at that time none of the parties would be aware of the status. The Bank Guarantee Document and Customer Details are to be captured from the KYC details that have already been checked by the verification process in the CBS. The movement of the documents takes place manually and although the banks have the physical documents and other credentials of the customers, they have no clue of the corresponding bank and the party at the other end, with whom the bank does not have any direct interaction. The solution that Quadwave provided was a web-based wrapper application, which takes the LC/BG data from the core banking solution and allows the concerned parties to interact, submit documents and credentials, and provide real-time status update. This solution is called Connect Plus. An online trade finance management module like Connect Plus ensures that LC/BG details from the CBS can be imported into the Management module and can be made available for the Banks’ own customers to view through a secured net banking extension. There are a few more reasons why it makes sense to implement Connect Plus. Ability to create the user IDs of authorized personnel for the corresponding partner of the customer (both Makers and Checkers Login). Ability to create the User IDs of authorized personnel for the corresponding bank (Beneficiary’s bank). Options for online submission of the documents for all the concerned partners to verify and accept. Options to make real-time acceptance or rejections based on the feedback. Online tracking of the process maturity, from the issue to the expiry. This would mitigate some major risks as the process becomes transparent. Preventive and corrective actions based on the status can be initiated in real-time. Opens opportunity for business development as most of the corporates would welcome an online portal(especially for an LC) and performance-based Bank Guarantees. They can view their trade finance portfolio status without visiting the branches. Even if the bank decides to charge a service charge for a premium, the average trade finance customer would be more than willing to pay and utilize the services. exist in the target country. Connect Plus integrates a powerful BPM+ engine at its core and a robust document management system to deliver a sleek and seamless connectivity of resources. Connect Plus links the bank with its customers who are availing bank guarantee facilities and also the beneficiaries (who may not be the customers of the bank but may be the customers of another bank in another country). Highly parameterized, it consists of an internal rules engine which can be used to configure all workflows. Role-based access rights for each user type;access is restricted to specific users. Comprehensive user management (customers as well as non-customers /beneficiaries). Bank-wide bills and business related documentation are available for reference with one click in offline as well as online mode. Seamlessly integrates with the existing corporate internet banking system and bank’s CIB portal. All the modules have ‘one’ maker and ‘n’ number of checker workflows built into them. Configuration is possible for the ‘n’ checkers in the system for each module at both the beneficiary/exporter end and the importer/bank end. It links the corporate customers to their customers via bank’s portal / internet banking suite. This can facilitate cross-selling for various products at overseas branches. End-to-end easy to use process flow management system with a short time of implementation.